List of fishes: Aphanius mento, Gambusia affinis, Alburnus sp., Oxynoemacheilus sp., Planorbis sp., Physa sp., Theodoxus sp., Viviparus sp. Description of decorations: In order to imitate the appearance of the Seyhan river bed in the best way, I examined the stream near my house and collected rocks, gravels and branches that were also found in the Seyhan River. In the design of the aquarium, I placed the rocks in the form of a hill descending from top to bottom. Afterwards, I used the gravels I gathered as ground material to be suitable to the Seyhan River. I placed the branches on the sides of the rocks, thus giving the impression of drifting with the flow. Over time, when the rocks and branches were covered with filamentous algae, it resembled the habitat of Aphanius mento. Description of equipment: SunSun HBL 802 Hang On Filter skimmer 500l/h. 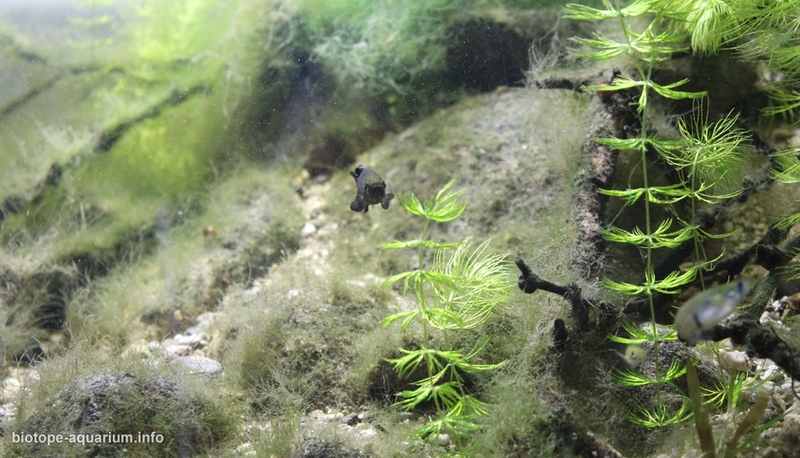 I light up the 8 hour aquarium with 20w projector led. Water parameters: Temperature is 25 ℃, pH is 8.14. Description of the area surrounding the biotope: The Seyhan River in Adana covers an area of 20 731 km². Seyhan River, Seyhan Dam in Adana starts from the lake and pours to the Mediterranean. Aphanius mento is a killifish fish species in the Seyhan River. This aquarium was set up primarily for Aphanius mento. Aphanius mentos were recorded on the IUCN Red List. Because Adana is a place with lots of light, the river is rich in vegetation and algaes and water is clear. The region covers shallow waters in Adana, where the Seyhan River slows down the flow. In general, the vegetation cover is in the transition path of maki-step formations. Therefore, the vegetation cover is decreasing. Description of the underwater landscape of the biotope: The Seyhan river has a rocky and pebbly appearance. The river has a clear view. The coastal parts consist almost entirely of rocks, but there are also rocks in the general appearance. Although there are no dry leaves and sediments in the water, there are branches drifting through the Taurus.. Generally the slow flow of water allows the formation of algae. In addition to algae, there are also plants growing in spring and summer. The coastal and stagnant areas of the Seyhan River are rich in plant matter. Description of the parameters of the habitat: In the summer period, when the drought rate increased and the water level decreased, water quality measurement values determined in 3-month period; pH 8.03-8.67, temperature 23.68-31.23oC; salinity 0.21-0.22. 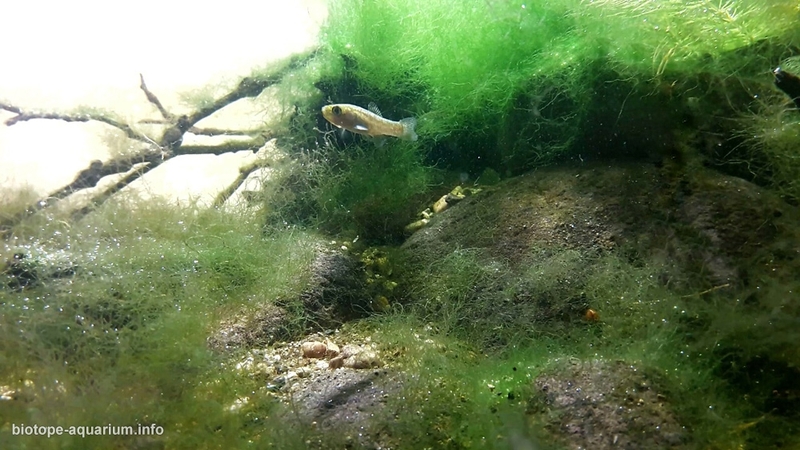 List of fishes and invertebrates occurring in the nature biotope: Aphanius mento, Gambuasia affinis, Oncorhynchus mykiss, Cyprinus carpio, Carassius carassius, Alburnus sp., Squalis cephalus, Garra rufa, Oxynoemacheilus sp. etc. List of plants found in the nature biotope: Ceratophyllum demersum, Myriophyllum spicatum, Lemna minor, Potomageton betchroldii etc. Threats to the ecology: The Seyhan River is threatened by pollution and invasive species. There are invasive species such as Carassius carassius and Gambusia affinis in the Seyhan River. 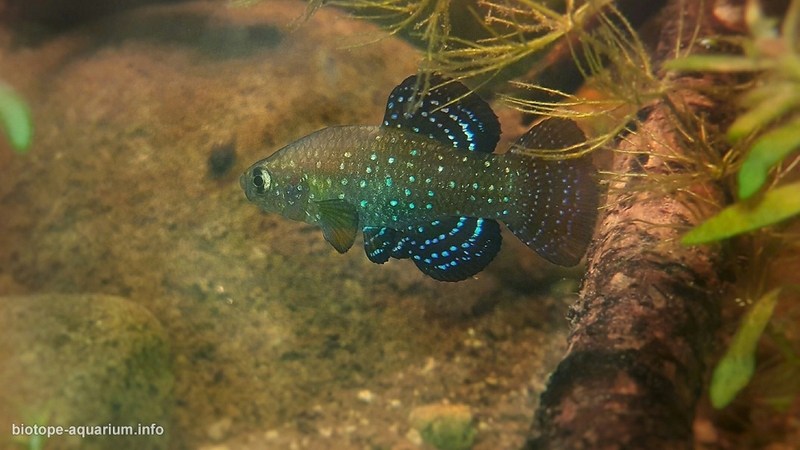 Aphanius mento and other fish breeds are in danger. For example; Carassius carassius or other invasive big Cyprinidae species catches and eats Aphanius mentos, mento’s eggs. 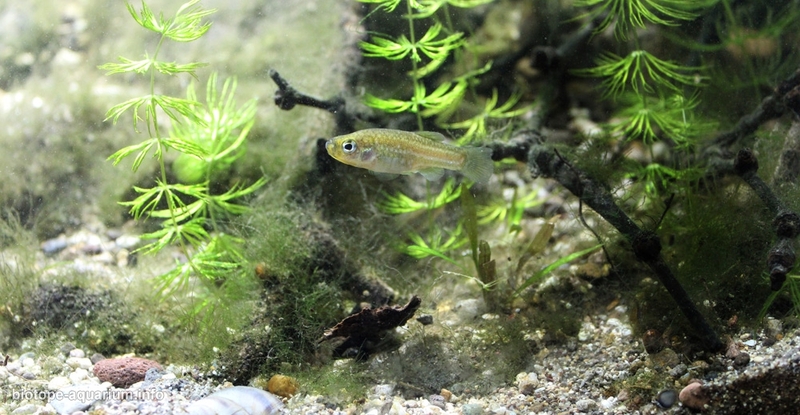 Gambusia affinis hunts newborn Aphanius mentos in the coastal areas of the river. Apart from invasive species, Humans are constantly pouring chemical waste and garbage into the Seyhan River. On the Seyhan River, there are fish that are constantly on the surface. A lot of relevant news has been made about it.